Representing true southern hospitality and charm, the Aiken Newcomers' Club (ANC) provides a valuable service to the residents of Aiken, South Carolina and surrounding regions. ANC does not limit its members to actual newcomers to the area, but rather offers an opportunity for women to socialize, represent Aiken, and give back to the community. We have many activities and events but our regular monthly meeting is a Luncheon meeting held on the 2nd Tuesday of each month at Newberry Hall, 117 Newberry Street SW. The doors open at 9:30 AM; meeting begins at 10:15 AM. 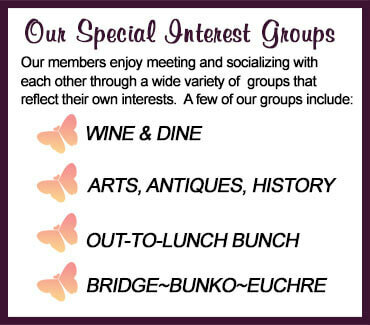 Click here to see more information about our Luncheon meetings. Aiken Newcomers' Club shall provide opportunities to its members to become acquainted with other members, as well as with the many community activities and functions. The Club will undertake and complete charitable, humanitarian, and social welfare projects, while being nonpartisan, nonsectarian, nonpolitical, and nonprofit. We're now on Facebook ! Thanks to Sharon Halicki for setting up a Facebook Page for Aiken Newcomers. 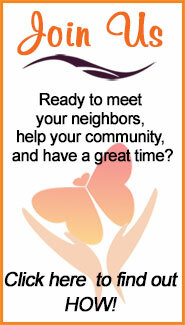 Go to Facebook and check it out - Like us, Share us, invite others - a new way to see what is happening at our meetings! Our May general meeting program including lunch will be held on Tuesday May 14 2019.The entree will be Chicken Bog w/Kielbasa Sausage and Basmati Rice The cost is $15.00 per person for the Meeting and Luncheon. Our preferred method of payment is a check made payable to ANC. Leah Walker, Site and Events Manager at Aiken County Historical Museum, will present a program entitled "Cottages and Corsets: the Winter Colony in Aiken."